In 1996, together with JAMIE LIDELL as SUPER_COLLIDER, he made a final attempt to breathe life into electronic music, which was still primarily seen as dance/rave/club music, and produced clustered break funk music that was so relevant to its time that many considered it more a music of the future: science fiction for the dance floor. Although the project was not a failure, it did not succeed even halfway in meeting the expectations of an artist who was rather perplexed by the lack of interest from others in considering music as art and research. Vogel believes that music has a will to unfold, like a jungle from the undergrowth of industrial cities. Escaping the rather predictable hedonism of the UK club scene, Vogel moved to Barcelona in 2001 and bound his explosive ideas to the Station 55 studio and labels. He continued to curate networks (No Future, Sleep Debt) whilst at the same time, expanding the horizons for his music, creating outstanding work for contemporary dance, sound art and even his indie-rock group. After a decade of mediterranean experimentalism, Vogel relocated to Berlin in 2012 where he made his first new and daring attempt to assimilate everything that electronic music represented to him, on one critically appraised album: ‘The Inertials' on SHITKATAPULT. Shortly after, his mystical, floating ambient work ‘Eselsbrücke' was released, already exploring so many inspirations from his life in the new city. 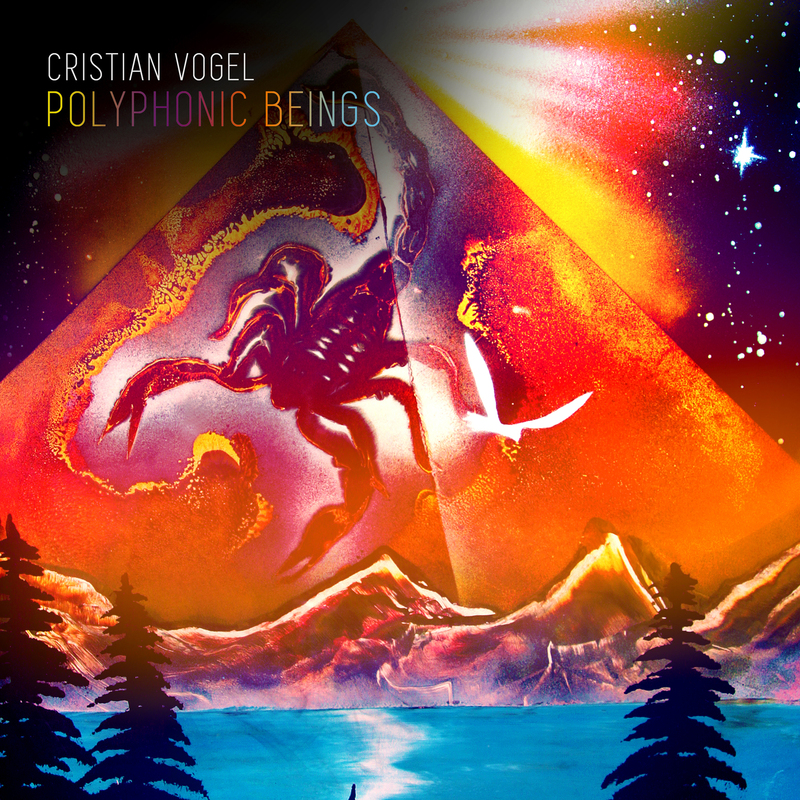 Now in 2014, we present the follow up to ‘The Intertials' entitled ‘Polyphonic Beings‘ - a true masterpiece in the inimitable Vogel style, as his fans will no doubt agree. ‘Polyphonic Beings' begins with a surprisingly dub track which twists and turns, the sounds growing darker and more unexpected from track to track, minute by minute. An eerie and unbelievable sound, with all as it should be: every reverb tail, every movement of the fader, every composed note takes the listener piece by piece into Vogel's own cosmos. He foregoes interwoven elements for swaying towers of rhythm, powerful sound passages, spaces, roads, mirrors and pathways, leading to a stream of ideas that never wants to end. He aptly quotes Karl-Heinz Stockhausen in the liner notes: These are the „atomic layers of ourselves." And so it is. We are what we hear. This is the definitive CRISTIAN VOGEL. In his 1972 lecture entitled "Four Criteria of Electronic Music", the composer Karlheinz Stockhausen touches on a compelling idea. When we hear music, we are modified on levels we are not able to perceive - he refers to the "atomic layers of ourselves". It struck me that if indeed we are embodying music so deeply into ourselves, then surely we begin to resemble that music - in some sense, we become what we hear. It is with this idea that "Eselsbrücke", my previous album, came to a close and now "Polyphonic Beings" begins. Let's say that we are what we hear. I propose then, that we expose our cells to the wildest music quality, to the deepest transformations. I have faith that this music can be abundant and that it opens up new ways of being which are unimaginable without having heard it. One of the greatest qualities of music is its empathy, its fundamental outwardness. Through the process of listening, its healing intelligence is transferred into us all. Freedom is the basic condition for the continuing revelation of this music, in whatever forms it decides to manifest. As an artist, I strive everyday to be mindful and accepting of the alien forms music can take and I work with whatever techniques are best suited for capturing those forms as transmittable sound energy. If I do it successfully, then that energy transforms and transfers itself through its own channels (regardless of what the music business thinks!). So with much love and gratitude, I am proud to present my latest music release - "Polyphonic Beings" - it takes the form of studio recordings which I put together over the last 12 months at various locations around the world. I am thankful to all those who have helped and guided me. Enjoy what this music brings to you. ﻿- Cristian Vogel (Copenhagen 2014).